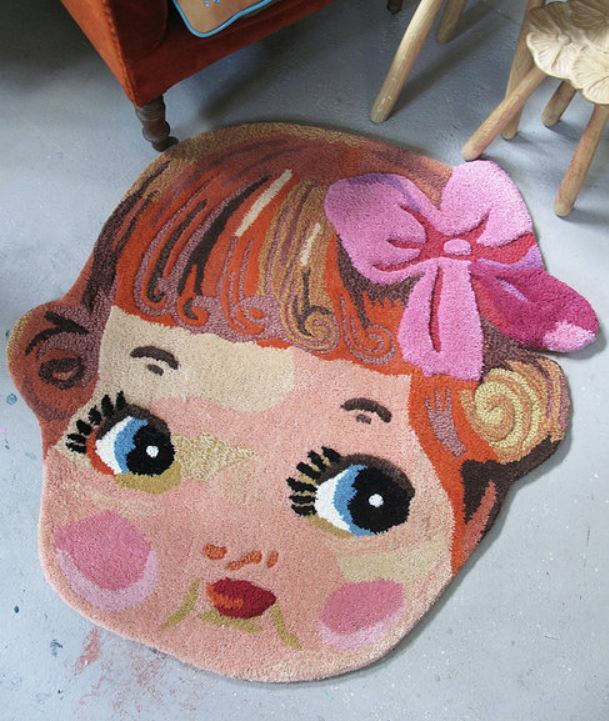 She has more unique rugs in her multimedia portfolio, such as this doll head (which I think I’d feel a bit guilty walking on). All types of art can be found on her site. This entry was posted on September 19, 2014 at 8:46 pm and is filed under craft, dolls, home, meat with tags craft, dolls, home, meat. You can follow any responses to this entry through the RSS 2.0 feed. You can leave a response, or trackback from your own site. 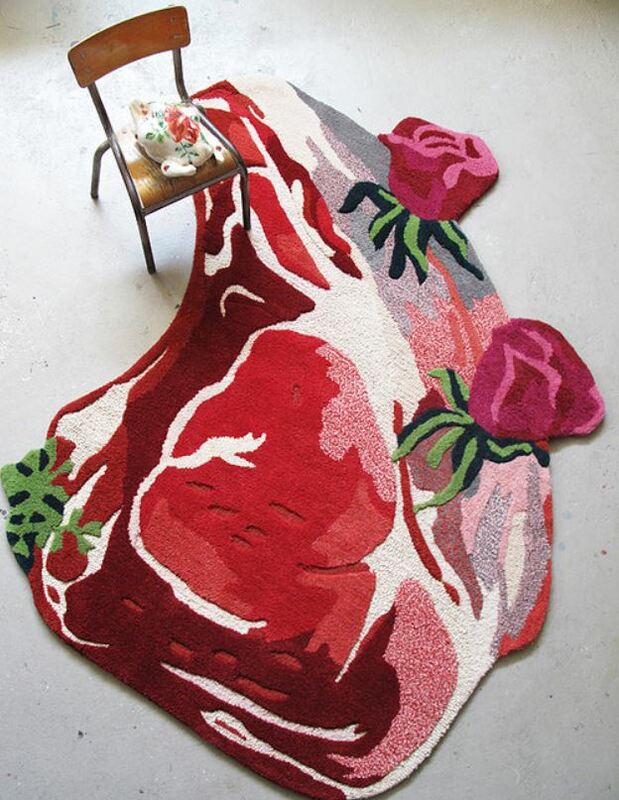 How can one rug make me hungry for steak, but the other not make me hungry for doll heads. I got hungry for doll heads. But I was fresh out.